Work is underway in Azerbaijan to expand the geography of fruit and vegetable exports, Deputy Chairperson of Azerbaijan’s Fruit and Vegetable Producers and Exporters Association Zhala Amirbayova told Trend. She said that Russia and a number of other CIS countries are main export markets for today. This is while exports to Europe and the Arab countries are limited because of the difficulties with certification, she added. "Certificates are very expensive - from 20,000 to 30,000 euros, and it is necessary to obtain them for each product separately," she said. "Therefore, it is easier for us to enter the markets of Russia and other CIS countries. Great work is being done for standardizing certificates and bringing them in line with international requirements. After that, the export opportunity will expand significantly." The Fruit and Vegetable Producers and Exporters Association was established in Azerbaijan in August 2016. The main goal of the association is to coordinate the activities of local entrepreneurs engaged in this field, increase production and export opportunities. 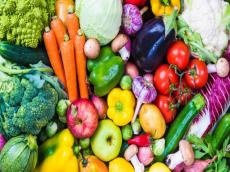 Azerbaijan exported fruit and vegetable products worth about $503 million in 2017, according to Azerbaijan’s State Customs Committee. In January-April 2018, 104,310 tons of products worth $111.13 million were exported.